Rare Earths and the Balance Problem: How to Deal with Changing Markets? The balance between the market demand and the natural abundance of the rare-earth elements (REEs) in ores, often referred to as the Balance Problem (or the Balancing Problem), is a major issue for REE suppliers. The ideal situation is a perfect match between the market demand for and the production of REEs, so that there are no surpluses of any of the REEs. This means that the rare-earth industry must find new uses for REEs that are available in excess and search for substitutes for REEs that have either limited availability or are high in demand. We present an overview of the trends in the applications for the different REEs and show that the demand for REEs for use in magnets, catalysts, and alloys is still increasing, while the application of REEs in polishing agents, glass, and ceramics are stable. On the other hand, the use of REEs in nickel–metal-hydride (NiMH) batteries and lamp phosphors is decreasing. These changes in the REE market have an influence on the Balance Problem, because the REEs that can be recycled from fluorescent lamps, cathode-ray tubes (CRTs), and NiMH batteries have to be at least partly reused in other applications. Magnesium and aluminum alloys offer an opportunity to mitigate the Balance Problem caused by these changes in the REE market. This is illustrated for REEs that can be recycled from fluorescent-lamp phosphor waste, CRT phosphors, and NiMH batteries. At present, five REEs (Nd, Eu, Tb, Dy, and Y) are being considered as very critical by Europe, the United States, and Japan, but we forecast that in the medium term, only neodymium will remain a critical REE. This paper discusses the relationship between criticality and the Balance Problem and shows how this relationship influences the market for specific REEs. The rare-earth elements (REEs) are a group of 17 elements: lanthanum (La), cerium (Ce), praseodymium (Pr), neodymium (Nd), promethium (Pm), samarium (Sm), europium (Eu), gadolinium (Gd), terbium (Tb), dysprosium (Dy), holmium (Ho), erbium (Er), thulium (Tm), ytterbium (Yb), lutetium (Lu), yttrium (Y), and scandium (Sc). The group of elements from lanthanum to lutetium (elements with atomic number from 57 to 71) is known as the lanthanides. It is common practice to divide the REEs in two groups: the light rare-earth elements (LREEs) and the heavy rare-earth elements (HREEs). However, there are different definitions for these groups. According to the IUPAC classification, the elements from La to Eu are the LREEs, and the elements from Gd to Lu and Y are the HREEs. In Europe, the LREEs are often defined as the elements from La to Sm, and the HREEs the elements, Eu to Lu and Y, whereas in China, Sm is considered as a HREE. Hence, there is no agreement among the definition of LREEs and HREEs. On the other hand, it is common practice not to describe scandium as one of the REEs and to therefore treat this element separately. The global annual production of REEs is typically expressed in tons of rare-earth oxides (REOs). At present, the estimated annual total for the production of REOs is about 130,000–140,000 tons, but accurate numbers are very difficult, if not impossible, to find [1, 2, 3]. China’s share is presently around 95% of the total production. However, these total production numbers do not provide us with information about the availability of the individual REEs. It is important to notice that the REEs are not present in equal amounts in the various REE ores, due to the differences in the natural abundance of these elements. The general trend in the natural abundance of the REEs is that the elements become scarcer with increasing atomic number Z [4, 5]. A consequence of the decreasing abundance across the lanthanide series is that the HREEs are much less abundant than the LREEs. An additional trend is that elements with an even Z are more abundant than elements with an odd Z. For example, cerium (Z = 58) is more abundant than its neighbors lanthanum (Z = 57) and praseodymium (Z = 59). This is the so-called Oddo–Harkins rule, and it reflects the relative stability of the atomic nuclei [6, 7]. All the REEs occur together in REE deposits, but some deposits are richer in LREEs, while other deposits are richer in HREEs. It is not possible to operate a mine to extract one single REE; there exists no “neodymium mine” to extract solely neodymium. Cerium is the dominant REE in LREE-rich ores (bastnäsite and monazite), while yttrium is the main REE in HREE-rich ores (xenotime and ion-adsorption ores). However, the available amounts of yttrium are much smaller than those of cerium. Promethium does not occur in nature, because all of its isotopes have a very short half-life. The availability of the individual REEs is of concern for applications that require the use of pure REEs, such as lamp phosphors and permanent magnets [1, 8]. If a REE required for a high-volume application has a low natural abundance, the minimum quantity of REE concentrate that must be processed and separated is the quantity that produces at least the amount of the particular REE that is required for that critical application. Therefore, some REEs will be produced in larger quantities than required by the REE market and, ceteris paribus, these have to be stockpiled. The balance between the demands of the market and the natural abundances of the REEs in ores is a major concern for the producers of these elements. This is the so-called Balance Problem (or Balancing Problem) . The ideal situation is a perfect match between the demand and production of REEs (i.e., the market is in equilibrium), so that there will be no surpluses of any of the REEs. This would result in the lowest market price for all of the REEs, because the production costs could be spread over all these elements. Unfortunately, a balanced market is very difficult to achieve, because of changes in demand due to the evolving technology in the various applications. The Balance Problem is related to the volumes of the individual REEs consumed rather than the actual market value of an application. For instance, lamp phosphors were, until recently, a very important application of REEs in terms of market value (one-third of the REE market), but they were a rather modest application in terms of volume (about 7%). This difference is due to the fact that very pure REEs are required for production of lamp phosphors. The Balance Problem became an issue when purified REEs started to be used in certain applications. The older applications of REEs consumed mixtures of REEs, and no separation into pure, individual elements was required. A good example is mischmetal, which is an alloy of LREEs, with the REEs in the same atomic ratios as they occur in the REE ores. In addition, other older applications, such as polishing powders or fluid-cracking catalysts, did not require pure REEs. This meant that in the past all the REEs that were produced could also be fully consumed. The concept of the Balance Problem was introduced in 1985, but it was not until recently that the importance of the concept was fully realized [9, 10]. Binnemans and coworkers have discussed the Balance Problem in depth and different options for its mitigation have been proposed, i.e., the diversification of REE resources, recycling, substitution, reduced use, and new high-volume applications for REEs that are produced in excess [11, 12]. Temporary stockpiling could be a partial answer to short-term fluctuations in the demand for certain REEs . The importance of the Balance Problem has also been highlighted in the final report of the European Rare Earths Competency Network (ERECON) . In this paper, the relationship between criticality and the Balance Problem is discussed. The trend in the consumption of rare earths for different applications and the corresponding consequences for the Balance Problem are evaluated. We describe how the use of REEs in magnesium or aluminum alloys is an excellent opportunity to mitigate the Balance Problem. This is illustrated for REEs that can be recycled from lamp phosphor waste, cathode-ray-tube (CRT) phosphor waste, and nickel–metal-hydride (NiMH) batteries. Raw materials are crucial to our modern society, and they are essential for maintaining and improving our quality of life . However, securing reliable and unhindered access to certain raw materials is a major concern for many countries. To address this challenge, the European Commission created a list of so-called Critical Raw Materials (CRMs) in 2011 , with updates released in 2014  and 2017 . Criticality is a dynamic state and must be periodically re-evaluated . Examples of CRMs are the rare earths, antimony, germanium, and cobalt. CRMs combine a high economic importance for the EU with a high risk associated with their supply. Materials are labeled “critical” when they are vulnerable to supply disruptions and their impacts on the economy are higher than those of most other raw materials [18, 19]. This supply risk can be caused by the monopoly of a single country in the supply of a raw material or by the fact that the main resources of a raw material are located in politically unstable regions or in conflict zones. In the 2011 report on CRMs by the European Commission, all REEs were grouped together (Fig. 1) . However, this did not reflect the availability of the individual REEs, nor did it reflect the fact that some REEs are more critical than others. In contrast, the 2014 update of the criticality report differentiated between HREEs (the most critical) and the LREEs (somewhat less critical, but still with a very high supply risk) (Fig. 2) . This figure showed that the HREEs are more critical than the LREEs because a higher supply risk resulted from their limited availability. However, this figure still suffered from an oversimplification, as not all HREEs should be considered as CRMs. Indeed, as the HREEs holmium, erbium, thulium, and ytterbium do not have high-volume applications, they should not be considered as critical elements. In the recently released 2017 report on Critical Raw Materials of the European Commission, the REEs are still considered as the most CRMs (Fig. 3) . However, it might seem surprising that the new report labels the LREEs as more critical than the HREEs (in contrast to the 2014 report). This reflects the trends that the market of fluorescent lamps (consuming large volumes of the HREEs europium, terbium, and yttrium) is declining and that the amounts of dysprosium in Nd–Fe–B magnets are being reduced by new material-processing techniques (vide infra). At the same time, the European Commission has published CRMs factsheets with information on the individual REEs . The fact that information on the criticality of different REEs is made available shows that it is realized that the REEs should not be grouped together in discussions about criticality. For background information on the methodology used to compose the list of CRMs, the reader is referred to Ref. . In this report, equations are given to calculate the economic importance and the supply risk, with an explanation of the different parameters that are considered in these equations. All the parameters in the criticality equations focus on the current situation, which in turn reflects the recent past (average of the latest 5 years, when data are available). Therefore, the assessment methodology can be considered as a snapshot of the current situation, based on the recent past. Forecasts are not integrated. The Department of Energy (DOE) of the United States considered in its 2011 report five REEs as being very critical: neodymium, europium, terbium, dysprosium, and yttrium (Fig. 4) . This list reflects the Balance Problem as it was in 2011. Neodymium and dysprosium are used in permanent magnets, while europium, terbium, and yttrium are essential for the phosphors of fluorescent lamps. Criticality reflects the demand for a particular REE; this means that the REEs for which no important applications exist are not critical. Even in the case of a severe supply risk, there is no real problem if the importance of a REE is very low. For instance, a supply risk associated with holmium would have a much smaller impact on the economy with respect to a supply risk associated with dysprosium, because the demand for holmium is much less than that for dysprosium. The list of CRMs is a snapshot in time, and it only reflects the situation at a given moment. Of course, the situation can (as it has in the past) change rapidly. From this paper, it will become evident that europium and yttrium should no longer be considered as CRMs in the short term. Nevertheless, a very strong increase in the demand for a raw material can lead to a sudden increase in its criticality, because this strong demand can result in a shortage, which will lead to a sharp increase in price. It must be realized that all these critical reports have to be interpreted with caution, because the criticality parameters strongly depend on the methodology that is being used [19, 22, 23]. Achzet and Helbig compared the methodologies of the 15 different criticality studies and concluded that the criticality-assessment methods are very heterogeneous . Frenzel et al. discussed recently in detail the concept of “criticality” . These authors came to the conclusion that current assessments of raw material criticality are fundamentally flawed in several ways and that many of the raw materials generally identified as critical are probably not critical. This is mainly due to a lack of adherence to risk theory. The authors make suggestions of how to improve the criticality assessment. Their approach is illustrated for germanium, indium, and gallium [26, 27]. Criticality can refer to a global or regional level, but most of the criticality studies refer to a regional level, mostly the European Union, the USA or Japan. One should also differentiate between criticality and resilience . Criticality assessment is an analysis of the current situation, whereas resilience is related to the response of the systems. In other words, criticality is the assessment, based on a backward-looking approach, whereas resilience refers to the responses and policy recommendations related to the future. Resilience can be defined as the capacity of a system to tolerate disruptions while retaining its structure and function. In case of criticality of raw materials, it reflects how well the system is able to deal with inadequate supply. Resistance, rapidity, and flexibility are considered as the cornerstones of resilience . During their work on Nd–Fe–B magnets, Sprecher et al. developed a qualitative framework for assessing resilience in material supply chains . This framework consists of four primary mechanisms that promote resilience: (1) diversity of supply (e.g., mining in different countries, recycling); (2) stockpiling of materials to buffer against the impact of temporary supply; (3) improving the properties of metal alloys to reduce critical material demand (e.g., Dy content in Nd–Fe–B magnets); and (4) substitution can play a significant role in dampening the effects of a supply disruption. More recently, these authors introduced several new resilience metrics for quantifying the resilience of critical material supply chains to disruptions and validated these metrics using the 2010 REE crisis . Dewulf et al. addressed the distinction between criticality calculations of raw materials for a certain entity and its resilience . As mentioned in the “Introduction” section, the total yearly production of REEs is about 130,000–140,000 tons of REOs, of which more than 95% is being produced by China. In Table 1, the global mining production (primary production) of REOs averaged over the period 2010–2014 is shown . It is evident that lanthanum and cerium are by far the most produced REEs. The share of these two elements in the total production volume is more than 60%. For the HREEs such as holmium, thulium, ytterbium, and lutetium, no data for the individual elements are available, and only the total volume of those elements (1800 tons/year) is available. Estimates for the individual elements have been made on the basis of their relative abundance. The REO production figures vary widely from one source to the other. For instance, for the primary production of 2014, the amounts vary from 105,519 tons  to 146,425 tons . The main reason for differences in these figures is the fact that estimates for illegal mining operations in China are not always taken into account . It is assumed that this illegal production can be as high as 30% of the Chinese national production quotas. In Fig. 5, evolution of the global yearly production volumes of the REOs is shown for the period from 1990 to 2016. Since 1990, the production figures have roughly doubled from 60,000 tons to more than 130,000 tons of REOs. The strongest growth was between 2000 and 2008, with an average growth of close to 6% per year. This increase was caused by the growing market of the Nd–Fe–B magnets, the compact fluorescent lamps (CFL), and the economic growth of China. The dip in the production statistics caused by the REE crisis of 2011 is clearly visible in the graph, but the production has largely been recovered to the level of the years preceding the REE crisis. The Chinese domestic demand for REEs surged from 21% of the global production in 2000 to 68% of the global production in 2013 . In China, REE production is largely controlled by six large state-owned enterprises, ‘The Big Six’: (1) Chinalco Rare Earth Corporation; (2) China Minmetals Rare Earth Corporation; (3) Xiamen Tungsten Corporation; (4) Baogang Group (province-owned; under the umbrella China North Rare Earth High Tech); (5) Guanschen-Guangdong Rising Nonferrous; (6) Ganzhou Rare Earth Group (city owned) . The main sources of LREEs in China are the Bayan Obo mine, located in Inner Mongolia, the deposits of the Sichuan province in the west and the deposits of the Shandong province to the east. The HREEs are mainly exploited from ion adsorption-type deposits, situated in the Southern provinces Jiangxi, Guangxi, Hunan, Fujian, Guangdong, and Yunnan. In Table 2, an overview is given of the global consumption of the different REEs (expressed in tons of oxide) for the year 2012, and the relative contribution of each REE to this total consumption . These relative contributions to the total consumption are compared to the relative abundance of the individual REEs in ores, using the average relative abundance of REEs in 51 deposits. From these numbers, one could conclude that there are shortages of lanthanum, neodymium, europium, terbium, erbium, and yttrium, while there is an excess of cerium, praseodymium, samarium, gadolinium, dysprosium, and holmium, thulium, ytterbium, and lutetium. However, one has to be prudent when interpreting these data. First of all, the error on the estimates of the consumption of the different REOs is about 15%. Secondly, the relative abundances of the REEs are those averaged over many different REE deposits. The relative abundance of each REE varies from ore to ore and from deposit to deposit. The actual relative abundance of the individual REEs in the total volume of REOs produced is not known. Thirdly, Table 2 reflects only the consumption of one year (i.e., 2012). In 2011, it was forecast that in 2015 there would be shortages of neodymium (400 tons), terbium (105 tons), dysprosium (500 tons), erbium (25 tons), and yttrium (200 tons), whereas there would be an excess of lanthanum (1450 tons), cerium (21,475 tons), praseodymium (1150 tons), samarium (3150 tons), gadolinium (825 tons), and holmium–thulium–ytterbium–lutetium (1180 tons), with no excesses or shortages for europium . All these values are expressed in tons REOs. Castilloux predicts in all scenarios a large oversupply of cerium and a serious shortage of neodymium . In this section, an overview of the main applications of the individual REEs is provided. An analysis is made for each REE with respect to its criticality level and the Balance Problem. Particular attention is paid to the dynamic character of these issues. A summary per REE is provided in Table 3. Criticality level (2017 and near future)? Lanthanum is the second-most abundant REE after cerium. It is mainly used in NiMH batteries (where the M is mostly La), in optical glasses, in the green lamp phosphor LaPO4:Ce3+,Tb3+ (LAP), and in catalysts, for instance, fluid-cracking catalysts (FCCs) in the petrochemical industry [36, 37]. FCCs consume about 13% of the total yearly global production of REOs. Special optical glasses for uses in the lenses of cameras, microscopes, binoculars, or telescopes can contain up to 40 wt% of La2O3 [38, 39, 40]. Lenses containing lanthanum tend to be used in wide-angle applications such as security and mobile-phone cameras. The use of rare-earth alloys in rechargeable NiMH batteries is based on their hydrogen-storage properties [41, 42, 43]. LaNi5, as a representative of the hydrogen-storage materials, is capable of absorbing considerable amounts of hydrogen gas and forms the hydride, LaNi5H6. Remarkably, the hydrogen density in LaNi5H6 is higher than that of liquid hydrogen. A cubic meter of LaNi5H6 can contain up to 88 kg of hydrogen, but the same volume of liquid hydrogen only weighs 71 kg. LaNi5-based alloys are ideal hydrogen-storage alloys, but their prices are high because pure lanthanum has to be used as the raw material. In order to reduce the price of the alloy, mischmetal is used to replace the pure lanthanum, forming a family of mischmetal-Ni5-based hydrogen-storage alloys. Mischmetal is a mixture of LREEs (La, Ce, Pr, and Nd) in the metallic state. The composition of mischmetal varies depending on the origin of the rare-earth minerals and its processing. Hybrid electric cars are responsible for more than half of the NiMH batteries in use [44, 45]. The battery stores the energy that is normally wasted during coasting and braking and as such saves it until the energy is needed by the electric motor. There is currently a lot of debate surrounding the relative advantages and disadvantages of NiMH batteries compared with lithium-ion (Li-ion) batteries [46, 47, 48, 49]. Toyota is using NiMH batteries in its Prius model, but other manufacturers, such as Renault, plan to use Li-ion batteries in their forthcoming electric cars. Every Toyota Prius contains 10–15 kg of lanthanum in its battery pack. However, if the tendency to shift from NiMH to Li-ion batteries in electric and hybrid cars continues, there will be an oversupply of lanthanum on the market. It is assumed that the consumption of REEs for battery applications in Europe will decrease by 50% between 2010 and 2020 . The use of lamp phosphors is declining because of the replacement of fluorescent lamps by LEDs. Therefore, less lanthanum will be consumed in the production of the green lamp phosphor LaPO4:Ce3+,Tb3+ (LAP) as well. LEDs do not make use of lanthanum-containing phosphors (see “Europium” section). However, there are possibilities to consume the excess lanthanum on the market. There could be a large market for lanthanum compounds as stabilizers for PVC [51, 52]. Lanthanum as part of mischmetal can be added to different types of alloys, mainly aluminum and magnesium alloys (vide infra). Lanthanum is not a critical REE, and it is unlikely that it will become a CRM in the near future. Cerium is the most abundant REE. Although it is used in many applications, there is an oversupply of cerium on the market. The main applications are as polishing agents for optical glass, for the decoloration of glass, catalysts, pigments, and alloys. Cerium(IV) oxide (CeO2, also called ceria) in the form of a very fine powder is used as a polishing compound for optical glass. Until the 1940s, iron oxide was generally used in glass-polishing procedures, although other materials such as silica and tin oxide were also used. In the 1950s, cerium oxide was found to be a superior polishing agent, and it is still in use [53, 54]. When the polishing powder is applied on the glass, it reacts with the surface to produce a complex cerium–oxygen–silicon compound, which is softer than the glass. This softer surface layer can then be more easily abraded to produce the final polished surface. Ceria powder is used to polish glass for tableware, LCD screens, car windows, mirrors, and optical lenses. Nanoparticulate ceria is used in a variety of ultra-fine polishing applications, including semiconductor wafers, computer hard-disk drives, and optics. In high-tech applications, such as photomasks and disk drives, surface roughness values of less than 0.2 nm have been achieved . The ceria for polishing applications is available in different purities. In fact, pure cerium oxide is rarely used for polishing optical materials. Typically, the polishing compounds contain approximately 50% of cerium(IV) oxide. The other 50% is usually taken up by varying concentrations of other rare-earth oxides. Because the other rare-earth oxides do not possess glass-polishing properties, higher-purity cerium oxide allows faster glass polishing. For precision optical polishing, higher-purity cerium(IV) oxide is preferred. This application consumes about 15% of the annual production of REOs, but it represents less than 5% of the REE market in terms of value. Another major use of cerium compounds is the decoloration of glass . The dominant glass composition is the soda-lime type made from cheap raw materials. The purity of these ingredients is crucial for determining the presence or absence of color in the finished glass product. One common impurity in silica sand, i.e., iron, can cause problems. Iron oxide is a moderately strong colorant in glasses and as little as 0.01% can be visually detected. Glass can be decolorized, even if the total iron content cannot be changed, by keeping iron in the iron(III) state with the addition of cerium(IV) as an oxidizing agent to the glass bath, because iron(III) has a weaker coloring effect than iron(II). Cerium(IV) provides strong absorption for radiation with wavelengths shorter than 400 nm and renders the glass opaque to UV radiation. The ability of cerium-doped glass to block damaging UV radiation has found applications in several areas, for instance, in sunglasses, medical glassware, and display-case windows. A car exhaust catalyst contains up to 20 wt% of CeO2, and this compound plays several roles: it acts as a stabilizer for the high surface area washcoat; it is a promoter of the water–gas shift reactions (conversion of CO–CO2); it is an oxygen-storage component; and it is an enhancer of the NOx reduction capability of rhodium [57, 58, 59]. The oxygen storage capacity is based on the fact that ceria can become nonstoichiometric in terms of oxygen content, i.e., it can release oxygen without decomposing, resulting in the formation of the compound CeO2−x. It must be realized that the application of ceria in exhaust catalysts will decline if there will be a global switch from combustion engines to electric motors. Ceria is also of importance for industrial catalysis . Cerium is a major component of the pyrophoric alloy ferrocerium, also known as “lighter flint”. CeO2 is used in the catalyst inside “self-cleaning” ovens . Cerium sulfides are used as yellow, orange or red pigments . Cerium is the main constituent of mischmetal, together with lanthanum [63, 64]. Cerium is not considered as a CRM, because there is plenty of cerium available on earth and the demand is relatively low. In fact, the natural abundance of cerium in the earth’s crust is comparable to that of copper. Cerium is produced in large quantities by mining REE ores for the production of neodymium. Because of the relatively low values of cerium and lanthanum compared to the other REEs, lanthanum and cerium are often separated from the other REEs as a La + Ce mixture. This mixture is useful for the production of catalysts, such as fluid-cracking catalysts. In addition, it could also be transformed into mischmetal that is depleted in other REEs, which could be an alloying metal for the production of aluminum and magnesium alloys. The use of cerium and lanthanum as mischmetal in metallurgical applications is an approach to mitigate the Balance Problem, because this application is able to consume large amounts of mischmetal. A very active field of research is the development of Nd–Fe–B magnets, in which part of the neodymium is replaced by cerium or by mischmetal (i.e., La + Ce mixture) [65, 66]. Up to 20 wt% of neodymium can be replaced without compromising too much on the magnetic properties. There are very few applications that rely on the unique physicochemical properties of praseodymium. Praseodymium is added as a green colorant for decorative glass. ZrSiO4:Pr4+ is a yellow ceramic pigment [67, 68]. Fortunately, praseodymium can partly replace the neodymium in Nd–Fe–B magnets. In nature, praseodymium and neodymium occur in an atomic ratio of approximately 1:4. In principle, it is possible to use the natural mixtures of praseodymium and neodymium (i.e., didymium) in magnet applications, without having much of a negative influence on the performance of the magnets. In this way, there is no need to use very pure neodymium, resulting in cheaper magnets. Nonetheless, Pr/Nd separations are often carried out because there is a small demand for pure praseodymium. Moreover, very pure neodymium is needed for some applications such as laser crystals. Since there is the possibility to use praseodymium in Nd–Fe–B magnets, the praseodymium market is in balance. An excess of praseodymium can be consumed in Nd–Fe–B magnet alloys and in other alloys such as magnesium and aluminum alloys. Unlike its twin element neodymium, praseodymium cannot be considered as a critical REE. Permanent magnets are the most important application of rare earths, both in terms of the consumed volume of rare-earth oxides (20–23%) and the value (53%) . Moreover, rare-earth permanent magnets represent a rapidly growing market. These magnets, developed in the 1970s and 1980s, are the strongest permanent magnets that are commercially available. There are two main types of rare earth magnets: samarium–cobalt (Sm–Co) magnets and neodymium–iron–boron (Nd–Fe–B) magnets. The market is currently dominated by Nd–Fe–B magnets (> 95%). The magnetic field produced by Nd–Fe–B magnets can be in excess of 1.4 Tesla, whereas that of the older ferrite magnets is less than 0.5 Tesla (Fig. 6). Nd–Fe–B magnets were invented in the 1980s by The General Motors Corporation of the US and Sumitomo Special Metals of Japan. They are the strongest-known types of permanent magnets [70, 71, 72]. A Nd–Fe–B magnet can lift 1300 times its own mass. On a volume scale, we need about 18 times as much ceramic magnet material for an equivalent magnet strength. The composition of the hard magnetic phase is Nd2Fe14B, with the overall composition of the alloy being slightly richer in the rare-earth component. Nd–Fe–B magnets have a theoretical maximum energy product (BH)max of 512 kJ/m3, with commercial magnets available in a range of shapes and alignment configurations with (BH)max values of more than 400 kJ/m3. Nd–Fe–B magnets are also much less brittle than Sm–Co magnets, making them much easier to handle during assembly procedures. Although Nd–Fe–B magnets have a stronger magnetic field strength, they are inferior to Sm–Co magnets in terms of their resistance to oxidation and the Curie temperature. This means that the use of protective surface treatments, such as nickel, zinc, tin, or gold plating or epoxy resin coating, is necessary to provide corrosion protection for the Nd-based magnets. Furthermore, Nd–Fe–B magnets will begin to lose too much of their magnetic strength if they are heated above their maximum operating temperature, which is approximately 80 °C for standard Nd–Fe–B alloys. Of course, they will completely lose their magnetization when they are heated above their Curie temperature, which is 310 °C for standard Nd–Fe–B alloys. Nd–Fe–B alloyed with up to 4 wt% dysprosium can dramatically increase the maximum operating temperature; this is because the magnets develop such large room-temperature coercivities (a measure of the resistance of a ferromagnetic material to becoming demagnetized) that they can afford to degrade to a greater extent with temperature and still remain useful. These Dy-modified alloys can be used up to 200 °C in some cases. The drawback of dysprosium addition is that it couples antiferromagnetically with the iron in the lattice and, as a result, reduces the magnetization of the magnet. If supply was not an issue, terbium would probably be the additive of choice, rather than dysprosium, as it has a stronger influence on the coercivity with a lower impact on remanence (the magnetization left after an external magnetic field is removed). The two principal manufacturing routes for Nd–Fe–B magnets are: (1) classic powder metallurgy (sintered-magnet process); (2) rapid solidification (bonded-magnet process). As shown in Fig. 7, sintered magnets are prepared by pulverizing an ingot precursor to microcrystalline size by hydrogen decrepitation and jet milling, followed by sintering the magnetically aligned powder into dense blocks, which are subsequently heat treated, cut to shape, surface treated, and magnetized. Currently, around 70,000 tons of sintered neodymium magnets are produced each year, mainly in China and Japan. Bonded magnets are prepared by melt-spinning a thin ribbon of the Nd–Fe–B alloy. The ribbon contains randomly oriented Nd2Fe14B nano-scale grains. This ribbon is then pulverized into particles, mixed with a polymer, and either compression or injection molded into bonded magnets. Bonded magnets offer lower remanence values with respect to sintered magnets, but they can be formed into intricately shaped parts and do not suffer from significant eddy-current losses. The annual production of bonded Nd–Fe–B magnets is approximately 10,000 tons. The total production of Nd–Fe–B magnets (sintered and bonded magnets) was estimated to be 79,500 tons in 2014 . Nd–Fe–B magnets are used in most computer hard-disk drives, in mobile phones, and in a variety of audio applications, such as loudspeakers and headphones. Their greater magnetic field strength per volume allows smaller magnets to be used for a given application. This is particularly useful for mobile phones, and in the automotive, and wind-power industries. Electric motors made with Nd–Fe–B magnets are much smaller and lighter than those made with traditional ferrite magnets, and have found many applications in electrically operated car seats, windows, and mirrors, in the starter motor and alternator, and they can replace hydraulic systems for steering. Nd–Fe–B magnets reduce the car’s weight and, as such, the power consumption. Hybrid electric vehicles (HEVs), plug-in hybrids (PHEVs), and pure electric vehicles (EVs) all require electric motors. At present the vast majority of HEVs use a permanent-magnet brushless direct-current (PMDC) motor, which contains Nd–Fe–B magnets. A high-performance magnet for use in motor applications has a composition close to 31%Nd–4.5%Dy–2%Co–61.5%Fe–1%B (wt%). The dysprosium is critical in this application to provide very high coercivities in order to achieve a service temperature of 160 °C. For a 55-kW motor, 0.65 kg of Nd–Dy–Co–Fe–B alloy is required, which represents 200 g of neodymium (3.6 g/kW) and 30 g of dysprosium (0.55 g/kW) per motor. In contrast, direct-drive wind turbines contain 700–1200 kg of Nd–Fe–B magnets per MW, which corresponds to 175–420 kg of pure neodymium per MW. In contrast to the Nd–Fe–B magnets used in electric cars, the Nd–Fe–B magnets for wind turbines do not require the addition of dysprosium, as high temperatures are unlikely to occur in a well-designed wind turbine. Moreover, the wind can be used to cool the magnets. A new and rapidly growing market for Nd–Fe–B magnets is electric bicycles, which contain lightweight, compact, Nd–Fe–B-based, miniature electric motors. They use approximately 350 g of Nd–Fe–B or 86 g of neodymium per electric bicycle. So far, there are no alternatives to Nd–Fe–B magnets in bicycles due to space and weight considerations. From a commercial point of view, neodymium is the most important REE because of its application in magnets. It is expected that the consumption of Nd–Fe–B magnets will increase in the future due to the use of these magnets in a multitude of cleantech applications [73, 74, 75, 76, 77]. It is estimated that the production of Nd–Fe–B magnets will continue to increase by about 7% per year; the total increase for the period from 2010 to 2020 is expected to be in the order of 80% . Neodymium will continue to dominate the REE market, which means that the production of neodymium from REE ores will generate large amounts of lanthanum and cerium. The neodymium market is currently in balance because the volumes of REE ores mined are determined by the demand for neodymium, and neodymium will become the most critical REE in the future, displacing dysprosium from this position. Although the neodymium in Nd–Fe–B magnets could, in principle, be replaced by praseodymium (because Pr–Fe–B magnets perform nearly as well as Nd–Fe–B magnets), the complete substitution of neodymium by praseodymium is not a feasible option because praseodymium is much less abundant than neodymium. Nevertheless, one could think of partially substituting neodymium by praseodymium or even to use didymium (a mixture of praseodymium and neodymium). In the 1970s and 1980s, samarium was the most critical REE because of its use in Sm–Co permanent magnets. At that time, the production of Sm–Co magnets was limited by the availability of Sm2O3 on the market. Typical compositions of the Sm–Co alloys for permanent magnets are SmCo5 and Sm2Co17 [78, 79]. Currently, they are used less than Nd–Fe–B magnets because of their higher costs and weaker magnetic field strength. However, Sm–Co alloys have higher Curie temperatures, creating a niche for these magnets in applications where a high magnetic field strength is needed at high operating temperatures (Fig. 8). The maximum operating temperature ranges between 250 and 550 °C, whereas the Curie temperatures are between 700 and 800 °C. They are highly resistant to oxidation, but sintered Sm–Co magnets are brittle and prone to chipping and cracking and may fracture when subjected to thermal shocks. Many Sm–Co magnets are coated with a nickel layer to prevent this chipping and cracking. SmCo5 magnets in particular are strongly resistant to demagnetization and have a maximum energy product (BH)max of 80–200 kJ/m3, whereas that of Sm2Co17 magnets ranges from 80 to 240 kJ/m3. The size of the Sm–Co magnet industry worldwide was approximately 1400 tons of alloy in 2014 . Sm–Co magnets are relatively expensive and subject to price fluctuations because the cobalt market is very price sensitive. In 1985, Nd–Fe–B magnets were introduced to the market. Although they were expensive at the time of their introduction, prices gradually fell, and these magnets became increasingly important. At present, the share of Sm–Co magnets in the permanent-magnet market is less than 2%, and an excess of samarium is being produced. It can be expected that the consumption of Sm–Co magnets will increase in the near future since these magnets are excellent for use in the electromotors of electric vehicles. The consumption of Sm–Co magnets will also be determined by the price of cobalt. Cobalt finds applications not only in Sm–Co magnets, but it is also used in high-quality steels and in lithium-ion NMC batteries. It is expected that there will be neither an oversupply nor a shortage of samarium in the future, because Nd–Fe–B magnets can replace Sm–Co magnets in most high-performance applications. Besides permanent magnets, samarium finds only a limited amount of other applications, the main one being ceramic capacitors. Samarium diiodide, SmI2, (Kagan’s reagent) is a selective reducing reagent, used in organic synthesis . The radionuclide samarium-153 (153Sm) is used in radiotherapy for bone pain palliation and for bone imaging . However, only very small amounts of samarium are consumed by these medical applications. Europium is an interesting element in terms of the Balance Problem. Europium is the first REE that was used in pure form, i.e., in the red cathodoluminescent phosphor of CRTs in color TVs. At first the phosphor of choice was YVO4:Eu3+ (around 1965) , which was later replaced by Y2O2S:Eu3+ . The latter compound remained in use as the red phosphor in CRTs until their production ceased shortly after 2000. In the mid-1960s and the early 1970s, europium was the most critical REE because it had a low natural abundance, and it was in high demand for the production of these red phosphors. During that period, nearly all of the global supply of europium was produced from the bastnäsite ore of the Mountain Pass mine in California (USA). In fact, the Mountain Pass mine was at that time mainly operated for the production of europium. The low concentrations of europium in bastnäsite (0.1%) implied that large surpluses of the LREEs were produced and needed to be stockpiled: to obtain 1 ton of Eu2O3 from bastnäsite, it was necessary to excavate an amount of REE ores that contained 300 tons of La2O3, 450 tons of CeO2, 38 tons of Pr6O11, 118 tons of Nd2O3, 7.3 tons of Sm2O3, 1.4 tons of Gd2O3 and 0.9 ton of Y2O3 . The concentration of europium in REE ores is low, even lower than what would be expected on the basis of its natural abundance in the earth’s crust. This is due to the so-called negative europium anomaly . Because Eu(III) can be easily reduced to Eu(II), it can be separated from the other REEs under certain geochemical conditions, and it becomes concentrated in calcium minerals such as calcite and apatite. This high demand for europium for color-television screens caused supply issues, and thus high prices. The criticality of europium became even more problematic after the introduction of fluorescent lamps with trichromatic phosphor blends [85, 86]. Rare-earth lamp phosphors are found as a layer on the inside of the glass wall of fluorescent lamps or CFL (energy-saving lamps). The lamp phosphors convert the ultraviolet emission of the noble-gas/mercury discharge plasma into visible (white) light. The phosphors are responsible for nearly all the visible light produced by the lamp, because the visible mercury lines are contributing only a few percent to the total light output of the lamp. White light can be generated in different ways. The simplest one is to mix blue and orange. It is also possible to mix blue, green, and red. The combination of a number of emission bands to a continuous spectrum also yields white light. From the mid-1970s, blends of three rare-earth-activated phosphors, known as the tricolor or triphosphor blends, replaced the older phosphors. Most blends consist of Y2O3:Eu3+ (YOX, red-emitting phosphor), LaPO4:Ce3+,Tb3+ (LAP, green-emitting phosphor), and BaMgAl10O17:Eu2+ (BAM, blue-emitting phosphor). The emission spectrum of the red-emitting Y2O3:Eu3+ phosphor consists of a dominant peak at around 611 nm. The commercial formulations contain relatively high europium concentrations (3–8 at.%). At lower Eu3+ concentrations, emission in the green-yellow region also occurs, at the expense of the red emission. The Y2O3:Eu3+ phosphor absorbs the 254-nm mercury-discharge emission through a charge-transfer transition involving the Eu3+ ion and the neighboring O2− ions. This charge-transfer transition peaks at about 230 nm. Hence, the absorption of 254-nm radiation is not very high, and about 25% of this radiation is reflected by the phosphor due to its high reflectivity. The reflectivity can be decreased with an increase in the europium concentration, but the high cost of europium-based phosphors makes such compositions economically unfavorable. The high reflectivity and the fact that the green and blue phosphors are stronger absorbers of the 254-nm radiation requires the Y2O3:Eu3+ phosphor to be the dominant component (by weight) of the triphosphor blend. The quantum efficiency of this phosphor is close to unity and constant in the range of europium concentrations from 1 to 15 at.%. The higher demand for europium due to the use of the Y2O3:Eu3+ phosphor was compensated for by higher supply levels due to the introduction of Chinese REEs on the market in the mid-1980s. Hence, the supply was able to meet the demand. However, after 2005 there was a sharp increase in the demand for europium due to a phasing-out of incandescent lamps in Europe, Japan, and the United States, and, likewise, an increased demand from Brazil, Russia, India, and China (the so-called BRIC countries), as well as from other countries with a similar economic development. This increase in demand in combination with Chinese export quota resulted in europium becoming one of the most critical REEs, together with dysprosium. However, dramatic changes are occurring in the demand for europium. First of all, its use in CRTs has ceased since the introduction of LCD and plasma screens to the market. Second, there is a decline in the use of fluorescent or CFL in favor of LEDs. The main reason is due to the environmental issues associated with the mercury content of fluorescent lamps. Each fluorescent lamp still contains 1–2 mg of mercury [87, 88]. This might seem a small quantity, but there are a huge number of fluorescent lamps still in use. LED lamps have several advantages compared to fluorescent lamps such as lower power consumption and longer average lifetime. Although some LEDs still contain europium-doped phosphors, most LEDs generate white light by combining a blue LED with a yellow phosphor. This yellow phosphor (Y3Al5O12:Ce3+) does not contain europium . The replacement of fluorescent lamps by LEDs in the lighting market has occurred much faster than was forecasted by experts in the REE industry. This is causing a sharp decrease in the demand for europium for the Y2O3:Eu3+ phosphor, and this decline in demand in western markets and Japan cannot be compensated by an increase in demand from developing countries. There is also a decline in the use of fluorescent lamps in the backlights of LCDs, in favor of backlighting by LEDs. Moreover, fluorescent-lamp backlights are much smaller than conventional fluorescent lamps and, as a consequence, they contain a much smaller amount of Y2O3:Eu3+ phosphor. The global rare-earth market for fluorescent-lamp applications in 2013 was between 5000 and 7000 tons REO . It is forecast by Solvay that the use of fluorescent-lamp phosphors will decrease by 50% between 2010 and 2020 . The dramatic decrease in the use of europium in lamp phosphors will cause an oversupply of europium in the future, and europium finds very few other applications besides its use in Y2O3:Eu3+. Some europium compounds are used as safety markers for anti-counterfeiting. For instance, luminescent europium compounds are being used as luminescent markers in euro banknotes. However, this market is much smaller than the lamp phosphor market. Europium is found in the luminescent component in dissociation-enhanced lanthanide fluoroimmunoassay (DELFIA) , and it is used in some control rods in nuclear reactors, but these are minor applications. There are no high-volume applications of europium other than in Y2O3:Eu3+ and it is unlikely that new europium-based applications will appear in the near future. At the same time as the demand for europium is declining, considerable amounts of europium will become available from the recycling of the REEs from fluorescent lamps and CRTs. Therefore, it is forecasted that europium will no longer be considered as a critical REE in the future and that there will even be an oversupply of europium, a comparable situation to that of samarium after the introduction of Nd–Fe–B magnets. However, this oversupply of europium will not be a major issue since the total volume of europium is very small compared to those of the LREEs. As a result, there will be a steady, but small, demand for europium and the supply will be sufficient to meet this demand. Gadolinium is used in MRI contrast agents  and as a neutron absorber in nuclear reactors [92, 93]. The metal is also used as an additive in some Nd–Fe–B magnets. Finally, it finds applications in the green phosphor GdMgB5O10:Ce3+,Tb3+. The Gd3+ ions assist in the transfer of energy from the sensitizer (Ce3+) to the activator (Tb3+) ions. At present, the gadolinium market is in balance. It is possible that new, high-volume applications such as magnetic refrigeration could disturb this balance. Gadolinium, particularly in alloy form, e.g., Gd5(Si2Ge2), demonstrates a magnetocaloric effect: its temperature increases when it enters a magnetic field and decreases when it leaves the magnetic field [94, 95]. However, it is unlikely that the application of magnetic refrigeration will disturb the gadolinium market. Since several kg of gadolinium would be required for one single fridge, there is simply not enough gadolinium available on earth to turn gadolinium-based magnetic refrigeration into a large-scale application. Moreover, the Gd5(Si2Ge2) alloy also contains germanium, which is a CRM as well. For this reason, there is a lot of research going on toward finding alternative alloys that do not contain gadolinium or germanium. The decline in use of fluorescent lamps will have a consequence for the demand of gadolinium and it could lead to an oversupply of gadolinium on the market. The existing applications of gadolinium cannot absorb this excess of available gadolinium. However, this oversupply is not a major issue since the total volumes of gadolinium on the market are relatively small and gadolinium can be used as an additive in different alloys, not only in Nd–Fe–B magnet alloys, but in magnesium and aluminum alloys as well (vide infra). The main application of terbium is in green lamp phosphors [85, 86]. The first green phosphor in tricolor blends was CeMgAl11O19:Tb3+ (CAT). Currently, the LAP phosphor has largely replaced the CAT phosphor. The commercial LAP formulation contains 27 at.% of cerium and 13 at.% of terbium (La0.60Ce0.27Tb0.13PO4), and has an emission maximum at 543 nm. A third, less common, green phosphor used in fluorescent lamps is GdMgB5O10:Ce3+,Tb3+. Terbium is a component of the magneto-restrictive alloy Terfenol-D (terbium dysprosium and iron), TbxDy1−xFe2 (x ~ 0.3), i.e., an alloy that expands or contracts to a high degree in the presence of a magnetic field . This material is used in actuators, sensors, and other magneto-mechanical devices, and high-precision liquid-fuel injectors. The decline in its use for fluorescent lamps will result in less demand for terbium. Terbium can be added to Nd–Fe–B magnets in order to increase the resistance of the magnets to demagnetization and allow it to operate at higher temperatures (similar to dysprosium), but it is used comparatively less for this application due to the high price of terbium and its high demand for lamp phosphors. However, the terbium price could change rapidly in the future if more terbium were to become available. Terbium performs even better than dysprosium to increase the maximum working temperature of Nd–Fe–B magnets, so less terbium has to be added compared to dysprosium to obtain the same performance. For this reason, the terbium recycled from lamp phosphors waste could be used in an efficient way in Nd–Fe–B magnets. This will keep the terbium market in balance. Dysprosium is considered as a technologically important REE because of its use as an additive in Nd–Fe–B magnets to increase their maximum working temperature . Permanent magnets working at high temperatures, for instance in the electric motors of electric or hybrid electric vehicles, often contain more than 10 at.% of dysprosium. This is a major issue because of the limited availability of dysprosium (it is a HREE with an odd atomic number) . Dysprosium is only recovered from ion adsorption ores (clays) in southern China, but it is in high demand for Nd–Fe–B magnets. However, the content of dysprosium in high-performance Nd–Fe–B magnets can be much reduced or even eliminated by clever materials engineering (grain-boundary diffusion). Some manufacturers try to modify their technology to completely eliminate the need for dysprosium. For example, Siemens, a global leader in off-shore wind power, announced in 2014 that it had developed new wind power generators without any dysprosium, by integrating a cooling system . The decreasing content of dysprosium in Nd–Fe–B magnets and the possibility to replace dysprosium in this application by terbium sustain the dysprosium market in balance. It is expected that dysprosium will become much less critical in the future, even though its production will not significantly increase. Dysprosium has some other applications besides Nd–Fe–B magnets. The metal is a component of the magneto-restrictive alloy Terfenol-D (terbium, dysprosium, and iron), TbxDy1−xFe2 (x ~ 0.3) (see: terbium). DyI3 or DyBr3 are added to metal halide lamps to produce a very white light with a high color-rendering index that closely resembles sunlight. However, no new, high-volume applications are expected for dysprosium in the near future. It is not recommended to develop new, high-volume applications for this metal, because this will bring the dysprosium market out of balance again. Very few applications exist for the four HREEs holmium, erbium, thulium, and ytterbium, and none of them is used in a high-volume application. Holmium has one of the highest known magnetic moments. It has been used to create the strongest artificially generated magnetic fields when placed within high-strength magnets as a magnetic pole piece or magnetic flux concentrator [99, 100]. It can also be used as a neutron absorber in nuclear reactors. Holmium could be used as an additive to Nd–Fe–B magnets, to replace part of the dysprosium in these magnets. Of this group of four elements, erbium finds most uses. In 2012, 540 tons of Er2O3 was consumed. Erbium-doped optical silica-glass fibers are the active element in erbium-doped fiber amplifiers (EDFAs), which are widely used in optical communications. Erbium can be used as a pink colorant for decorative glass. The erbium-glass laser (1540 nm) finds medical applications in hair removal and skin rejuvenation. Erbium-doped Y3Al5O12 (Er:YAG) lasers (2940 nm) are used in medical applications as well: surgery, laser enamel ablation in dentistry, treating acne scarring, and monitoring blood-sugar levels. Shortages of erbium could be expected is the market of optical fibers would further increase, but then its use in decorative glasses can be reduced. The thulium-doped Y3Al5O12 (Tm:YAG) laser (1930 and 2040 nm) is applied in laser surgery. The radionuclide thulium-170 (170Tm) is used in portable X-ray sources. Ytterbium-169 (169Yb) is a radioisotope of ytterbium that emits gamma rays and is used as a radiation source substitute for portable X-ray machines; it is also used in radiotherapy (brachytherapy). Mixtures of these four HREEs are often not separated during the separation of the other REEs. The available quantities of these elements are small, but still sufficient. No new high-volume applications are expected in the near future. It is not recommended to develop new applications that could consume large amounts of these elements, because no large quantities of these elements can be produced. At present, none of the mentioned HREEs are considered as CRMs, and this will probably not change in the near future. Until recently, there were no high-volume applications of lutetium, and there was hardly any demand for this element, except for small amounts for research purposes. However, this situation is changing rapidly due to the use of lutetium in scintillator phosphors in positron emission tomography (PET) scanners for medical imaging. Cerium-doped lutetium oxyorthosilicate, Lu2SiO5:Ce3+ (LSO), has excellent scintillating properties and is currently the preferred compound for the detectors in PET scanners [101, 102]. Moreover, for each PET scanner tens of kilograms of lutetium are consumed. Although a PET scanner is a very expensive apparatus and the total number of PET scanners in the world is relatively small, the total required amounts of lutetium are considerable. This application consumes nearly the whole production of lutetium and could lead to a problematic situation if the demand for PET scanners were to increase further. This means that lutetium could become a critical REE in the future, especially because lutetium, together with thulium, is the least abundant of all the REEs. In 2017, yttrium is still considered as a critical REE because of its use in the Y2O3:Eu3+ red lamp phosphor. However, its use in this application is declining because of the replacement of fluorescent lamps by LEDs. Moreover, there are several yttrium-rich REE ore deposits available outside China, such as the Norra Kärr deposit in Sweden. Therefore, the supply of yttrium can be secured in the future. The excess yttrium can be used in applications other than Y2O3:Eu3+. The main application of rare earths in ceramics is the addition of yttria (yttrium oxide, Y2O3) to zirconia (zirconium dioxide, ZrO2) to stabilize the cubic structure of the zirconia. Pure zirconia has a high melting point (2700 °C) and a low thermal conductivity. Its polymorphism restricts its widespread use in the ceramic industry [103, 104, 105]. Upon heating, zirconia will undergo a phase-transformation process. Volume changes associated with this transformation make the use of pure zirconia in many applications impossible. The addition of some wt% of metal oxides such as CaO, MgO, and Y2O3 to the zirconia structure results in the formation of a solid solution, which is a cubic form that undergoes no phase transformation during heating and cooling. This solid-solution material is termed yttria-stabilized zirconia (YSZ). When insufficient cubic-phase-forming oxide is added, a mixture of cubic and metastable tetragonal ZrO2 is obtained, which is referred to as partially stabilized zirconia (PSZ). Usually, such PSZ consists of > 8 mol% (2.77 wt%) of MgO, 8 mol% (3.81 wt%) of CaO, or 3–4 mol% (5.4–7.1 wt%) of Y2O3. PSZ is used when extremely high temperatures are required. The low thermal conductivity ensures low heat losses, and the high melting point allows stabilized zirconia refractories to be used continuously or intermittently at temperatures up to 2200 °C in neutral or oxidizing atmospheres. Above 1650 °C in contact with carbon, zirconia is converted into zirconium carbide. Zirconia is not wetted by many metals and is therefore an excellent crucible material when slag is absent. It has been used very successfully for melting steel alloys. Yttrium is also useful as an additive for magnesium alloys (vide infra). Scandium is a REE that is presently used in few applications because of its limited availability and its high price. The world primary production of scandium was on average only 15 tons of Sc2O3 per year in the period 2010–2014 . The main producer is China (66% of global production), and scandium is here produced as a byproduct of the REE extraction from the Bayan Obo mine, and as a byproduct of the production of TiO2 pigments. Russia and Kazakhstan produce small quantities of scandium from uranium mill tailings. Bauxite residue (red mud), a waste product of the extraction of alumina from bauxite, is an untapped source of scandium [106, 107]. Scandium concentrations are in the order of only 100 ppm and depend on the origin of the bauxite, but the volumes of bauxite residue available are massive. Nevertheless, more efficient, cost-effective methods must be developed for the recovery of scandium from this secondary source. Until recently, scandium was not considered as a CRM. However, in the 2017 CRM list of the European Commission, scandium was included as one of the new CRMs . This change can be explained by the rapid growth of the market of the solid oxide fuel cells (SOFC). The SOFCs are at present the most important application of scandium, absorbing more than 90% of the annual global production. In the SOFCs, scandium is applied in scandia-stabilized zirconia, which has a higher ionic conductivity than yttria-stabilized zirconia. Scandia-stabilized zirconia allows to operate fuel cells at lower temperatures than fuel cells containing yttria-stabilized zirconia [108, 109]. The lower operating temperatures result in a prolonged life time of the fuel cells and the possibility to use cheaper materials for the thermal shielding in the fuel cells. For a long time, the main application was in high-strength scandium–aluminum alloys . Scandium increases the plasticity in molding of complex shapes, improves the corrosion resistance and fatigue properties, and allows welding of the alloy without loss in strength. These alloys are being used for the production of baseball bats, bicycle frames, and in the military aircraft industry (for instance in the Russian MIG21 and MIG29). Airbus has patented a family of aluminum–magnesium–scandium alloys (Scalmalloy™) for use in aviation applications. The addition of ScI3 to metal halide lamps produces a very white light with a high color-rendering index that strongly resembles sunlight. Scandium(III) triflate, (CF3SO3)3Sc is a recyclable, water-tolerable mild Lewis acid for use in organic synthesis . It allows Friedel–Crafts acylations of aromatic compounds in catalytic amounts to be performed. Magnesium alloys are among the lightest structural materials available , and find applications in the aerospace and automobile industries [113, 114]. Their disadvantages are poor mechanical properties at higher temperatures and a high reactivity. REEs are added to magnesium alloys to increase the high-temperature strength, the creep resistance, and the corrosion resistance [115, 116, 117]. Because of their high costs, REE-containing magnesium alloys are only used in high-end applications, such as automobile engines and aircraft. Magnesium–yttrium alloys are of special interest because of the high solid solubility of yttrium in magnesium (up to 12.5 wt%) [118, 119, 120]. However, yttrium is relatively expensive, has a high affinity for oxygen, and it is difficult to alloy with magnesium because of its high melting point. Therefore, it is often mixed with cheaper yttrium-containing mischmetal or with HREEs. For this reason, magnesium alloys are very interesting from the point of view of consuming the excess of yttrium that will become available from the recycling of lamp phosphors from end-of-life fluorescent lamps [88, 121, 122, 123, 124] and from CRT phosphor waste [88, 125, 126, 127, 128]. It can also be used to consume most of the REEs that are available in excess (La, Ce, Sm, Gd, Ho, Er, Tm), thereby balancing their markets as well. REEs that tend to form divalent ions in the metallic state (Eu and Yb) are in general not added to magnesium alloys, because they result in alloys with inferior properties. The lanthanum recycled from NiMH batteries could be reused in this application [88, 129]. Although neodymium–magnesium alloys show good mechanical properties and have been intensively investigated, it is not recommended to use neodymium in magnesium alloys due to the high intrinsic value of neodymium for the production of Nd–Fe–B permanent magnets. For the same reason, it is not recommended to add praseodymium to magnesium alloys. REE-containing aluminum alloys have been investigated in much less detail than REE-containing magnesium alloys. The focus was on aluminum–scandium alloys. The addition of scandium to aluminum (0.1–0.5 wt%) improves the strength of the aluminum, reduces the cracking in welds, and improves the fatigue life. Other REEs can also be added to aluminum alloys to increase the high-temperature strength. For this application, mischmetal with up to 50 wt% cerium can be used. 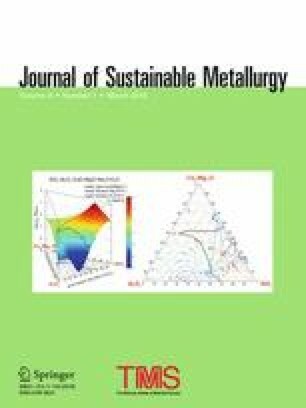 Similar to magnesium alloys, aluminum alloys offer possibilities for the reuse of the lanthanum that is recycled from end-of-life NiMH batteries [43, 88]. The declining use of REEs in NiMH batteries and the phosphors for fluorescent lamps and CRTs will have an influence on the REE markets in the near future and thus on the Balance Problem. The recycling of REEs from end-of-life fluorescent lamps, CRTs, and NiMH batteries could generate an oversupply of lanthanum, cerium, europium, gadolinium, terbium, and yttrium, (Table 3). However, most of these REEs can be used in other applications. Lanthanum, cerium, and especially yttrium can find new uses in magnesium alloys for the automobile and aircraft industries. Cerium could also partly replace neodymium in Nd–Fe–B magnets. Terbium can efficiently replace dysprosium in Nd–Fe–B magnets, while gadolinium can also be used as an additive in these magnets. Finding new uses for europium is more difficult, but the available quantities of this element are small. With the replacement of dysprosium by terbium in Nd–Fe–B magnets and the reduced use of dysprosium utilizing new magnet-manufacturing processes, the demand for dysprosium in new Nd–Fe–B magnets will decrease even more. The demand for Nd–Fe–B magnets is expected to increase due to the use of these magnets in cleantech applications: electric and hybrid electric vehicles, electric bikes (e-bikes), and wind turbines. Neodymium will remain the most important REE in the future. The complete substitution of neodymium is not possible, even though much of the neodymium can be replaced by praseodymium in permanent magnets. As shown in Table 4, at present, five REEs are in 2017 still labeled as critical: neodymium, europium, terbium, dysprosium, and yttrium. We expect that on the short-term (5 years) only neodymium will remain a highly critical REE. The production of REEs from REE ores will generate large amounts of lanthanum and cerium. These elements can be transformed into mischmetal depleted of the other REEs. This mischmetal can then be used to produce REE-containing aluminum and magnesium alloys. We conclude that these REE-containing alloys offer a unique opportunity to partly mitigate the Balance Problem. Scandium is a special case, because it was until recently not considered as an important element. However, solid oxide fuel cells comprise a rapidly growing market for scandium and are at this moment the most important application of scandium. Production volumes are still low (about 15 tons of Sc2O3 per year), but bauxite residue is potentially a very important source of scandium, provided cost-effective scandium recovery processes can be developed and commercialized. This work has received funding from the European Union’s Horizon 2020 research and innovation programme under Grant Agreement No 680629 (REMAGHIC: New Recovery Processes to produce Rare Earth-Magnesium Alloys of High Performance and Low Cost) (project website: http://www.remaghic-project.eu). KB and PTJ acknowledge funding from the European Community’s Seventh Framework Programme ([FP7/2007–2013]) under Grant Agreement No. 607411 (MC-ITN EREAN: European Rare Earth Magnet Recycling Network) (project website of EREAN: http://www.erean.eu). Paul McGuiness (Sciencewriter.si, Slovenia) is acknowledged for the drawing of the figures.